This client was in need of a gift for a five year anniversary party. Since many of the attendees of the event were frequent travelers, Clatter Creative suggested custom luggage tags. The client loved the idea. When the guests arrived, they were welcomed with this small giveaway as a token of appreciation for attending. 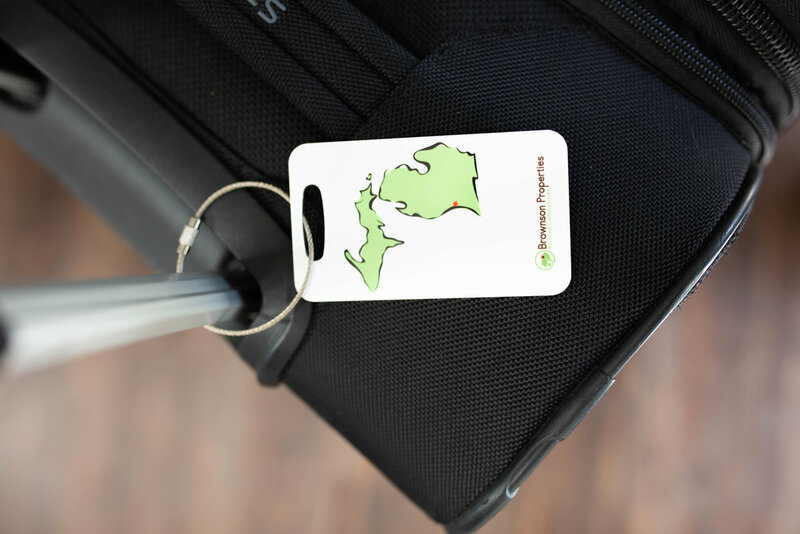 The custom luggage tag features QR code/URL identifiers for an easy and secured system of retrieval. Say good-bye to lost luggage! Take a look. As guests left the party, they were given another gift of appreciation. Check it out!